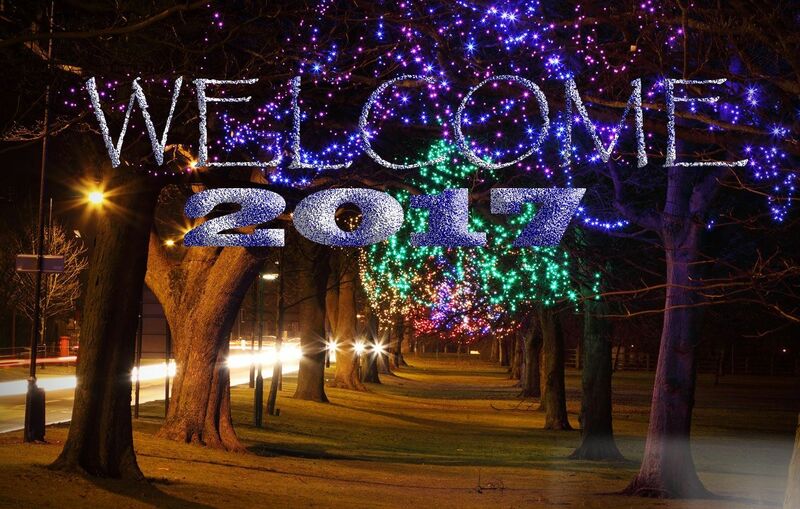 Here’s to a happy and healthy New Year! Below are a few photo memories of our travels in 2016 and a personal tribute to a dear friend who passed away on Boxing Day. The Microlite about to leave for the last time. Axe Edge, Peak District. 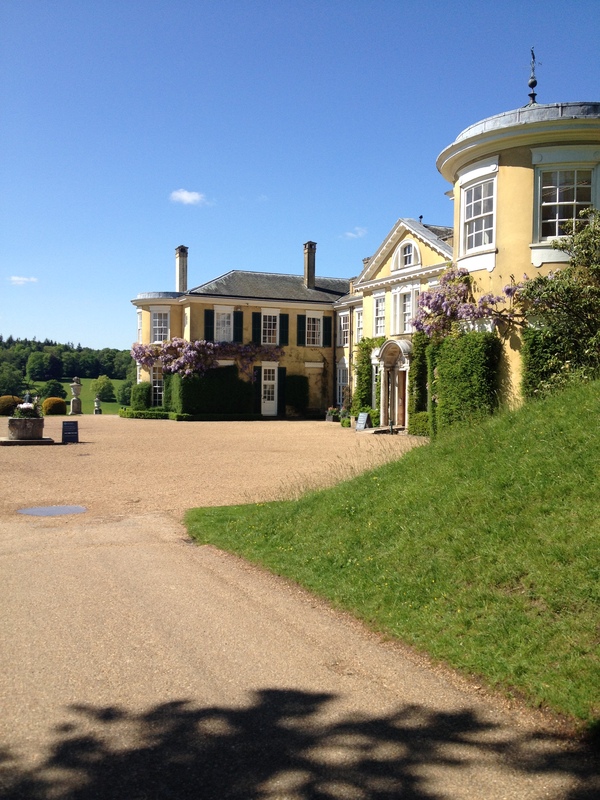 Polesden Lacy. SE England. Solo near Newark. 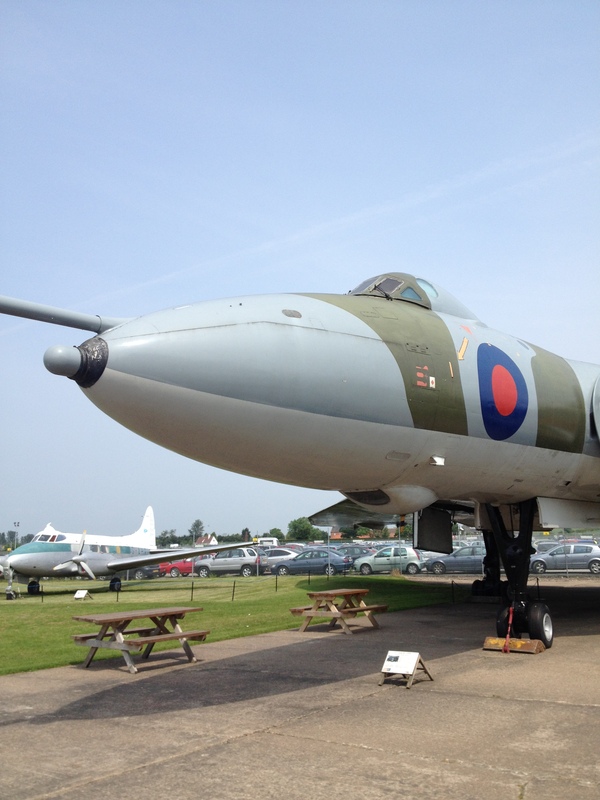 Vulcan at Newark Air Museum. We last saw a Vulcan Bomber when we visited the area around Newark for a 90th Birthday Celebration for Her Majesty, the Queen Elizabeth. A very dear friend , Alan Mawson, moved to Australia to be with his family in the sunshine for his twilight years. We met more than 6 years ago when I was restoring our cottage in the village and he would stroll past to get his newspaper. He disrupted my work for quite a while as we can both talk for hours.! 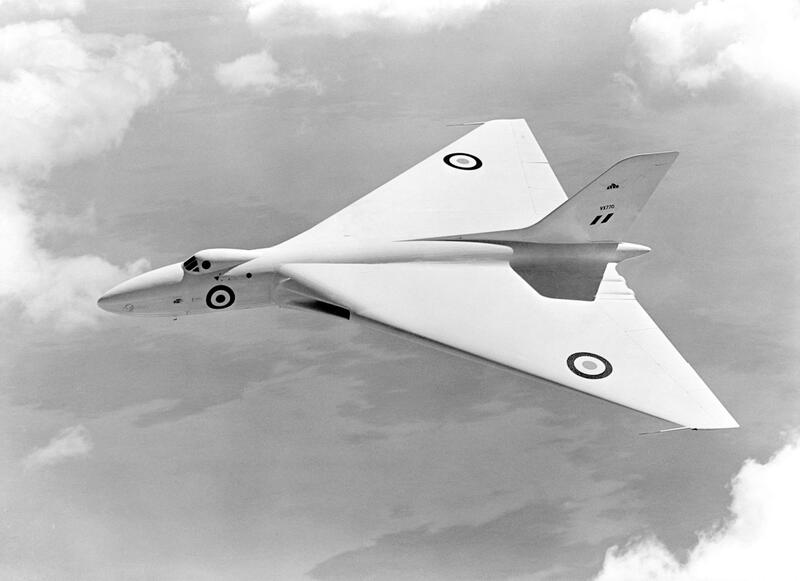 In his National Service days, Alan was one of a relatively small team working as ground crew on the secretive Vulcan Bomber fleet. 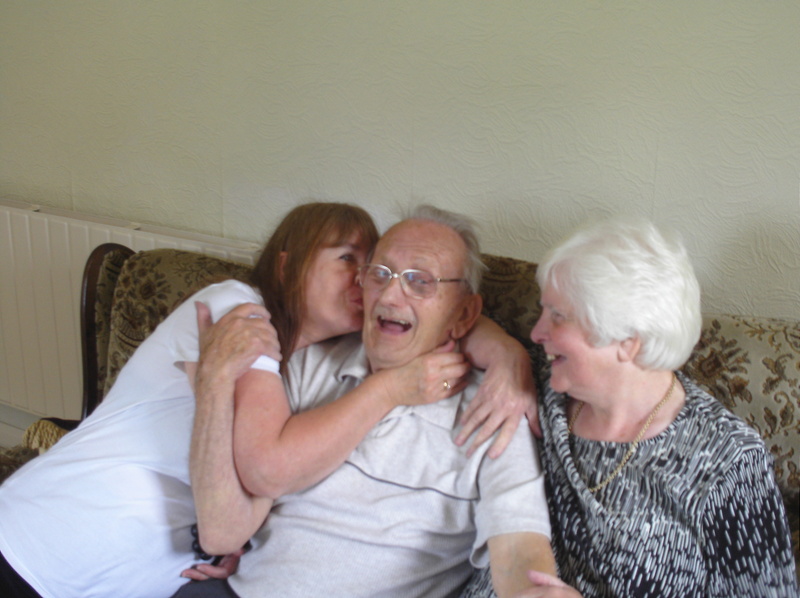 As his dementia slowly took hold, we would still share a small whisky together , laughing at his stories of daring do in the RAF. I bought him a die-cast Vulcan to take with him when he emigrated to Australia. A massive, brave move at that time of life. Everyone in the village missed him. Just a day or so ago, we got the horrid news from his daughter that he had passed away on Boxing Day. The weather in Brisbane had suited him and extended his quality of life tremendously. Alan Mawson. Rest in peace. Another coincidence or a very appropriate gift? On Boxing Day my daughter visited with her hubby and our grandaughter. Throughout the day, we exchanged gifts. We took our time as a not yet quite two years old toddler can get quite excited and overwhelmed when confronted with play kitchens, Tee Pees and more. Being very busy , what with a toddler to look after and a hectic City lifestyle, my daughter does not view my Blog all that often. 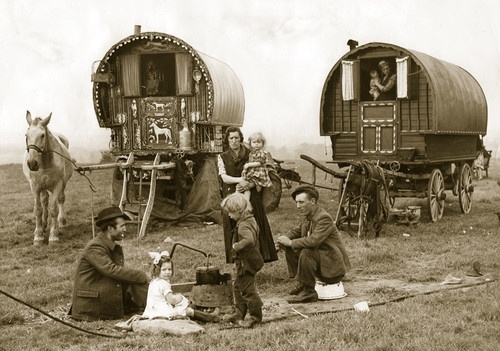 Although she knew of my intention to make a replica Bow Top Gypsy Caravan and had seen at least one pair of genuine wooden cart wheels, she was unaware of my plans to start another Blog about making a Bow Top. I was delighted to receive this book by Netta Cartwright. 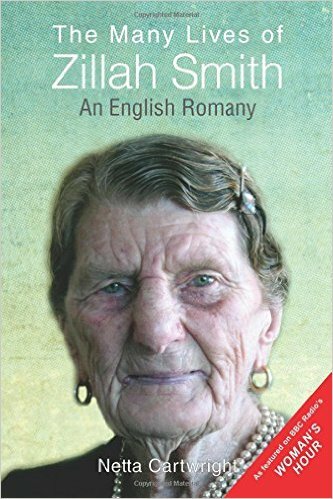 The story of Romany Gypsy, Zillah Smith, it is a beautiful record of a way of life which is fast disappearing. Zillah, I believe , comes from the Stafford area. 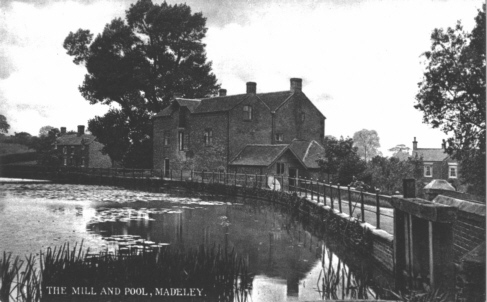 The book was launched near Rugeley, in Staffordshire and so there is a local connection. I cannot wait to get my teeth into it. I was just blown away by how very appropriate this gift was. It was I that was overwhelmed on Boxing day, not my little soulmate grandaughter. Merry Christmas everyone! Here’s a Wish for you to enjoy a peaceful Holiday. 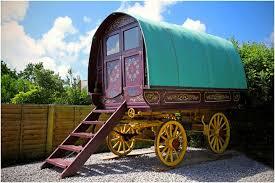 I have always been interested in old fashioned, horse drawn, Gypsy caravans. Particularly the very attractive, Bow Top versions. As soon as the current busy season allows, I will be launching a new “Dinkum Blog”, additional to the current NV200 Blog, you are reading now. Above are scenes from 1936 and 1939 of the Appleby Fair. 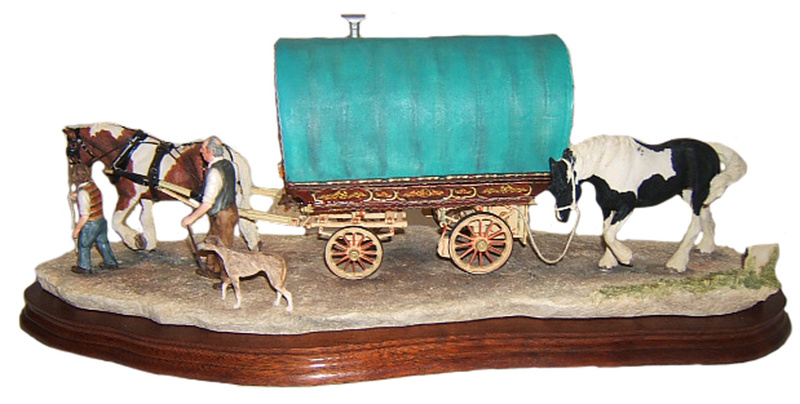 The ceramic model also features “Arrival at Appleby”. It was auctioned at the Borders Auction House some time ago. You can still buy modern versions of Bow Tops which can be towed by a car. There are several manufacturers, with their own individual versions and features. This interior is just one version from “Gregs”. Having no experience of horses and not wishing to tow a modern version, I have decided to put together a Garden based, stationary copy of a Bow Top. It’s purpose to provide a “George Clarke” type amazing space. (see channel 4 TV). The interior will have some similarities with that shown above, but that is as far as it goes. Over the past couple of years (how time flies!) I have been hoarding away all sorts of bits and bobs spotted in Antique shops and reclamation yards for my special “shed”. Arrival of my grandaughter added some incentive. Tea and scones with Grandpa anyone? Watch for more news and the Blog Address. Coming Soon. Another long weekend in London. How it used to be travelled. Where we live at present is on an old coaching route. It was certainly used for Royal Mail Coaches,before the railway came to the village, which it did early in it’s history. One half of our house had a tenant who was one of the first railway clerks ever in the locality. 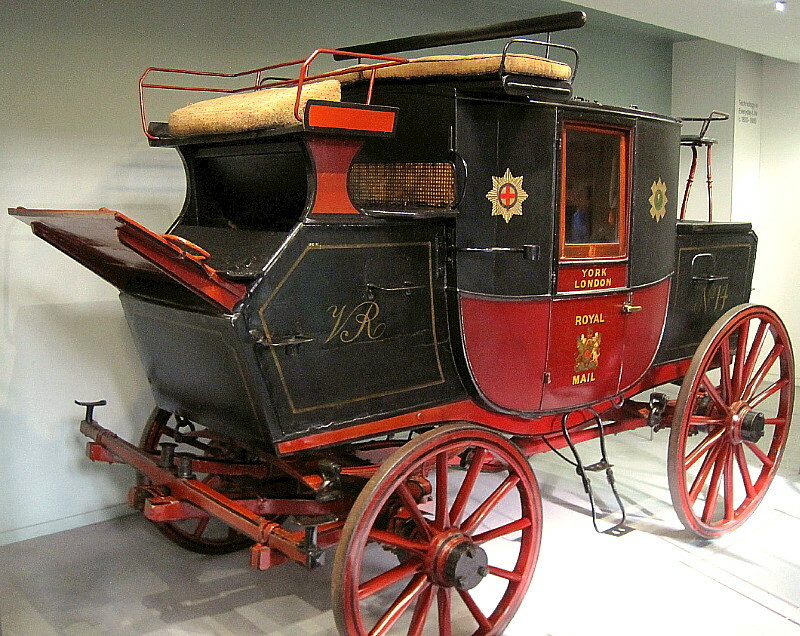 In the 1800s these mail coaches carried a guard who was armed with at least one musket. 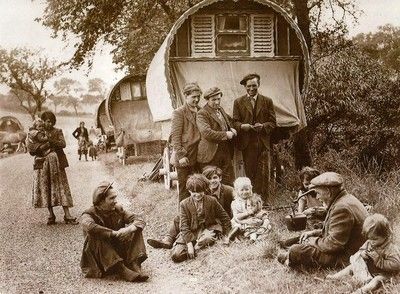 The police force (correct term for back then (it’s now “Service”)) was in it’s infancy and many travellers carried a pistol for protection. On another recent round trip for pre-Christmas “Christmas” ,prior to family jetting off to the USA for the correctly timed event, I got thinking about the route that I used to travel to break up the monotony of continually driving from our previous home to London area for work. Back then I used the A 5 , picking it up at Dunstable and right the way through to the outskirts of Cannock or Rugeley. That road was a direct main link between towns for Stage and Mail coaches. Travelling at around 12 mph, it would take days to travel from London to Holyhead and Ireland beyond. 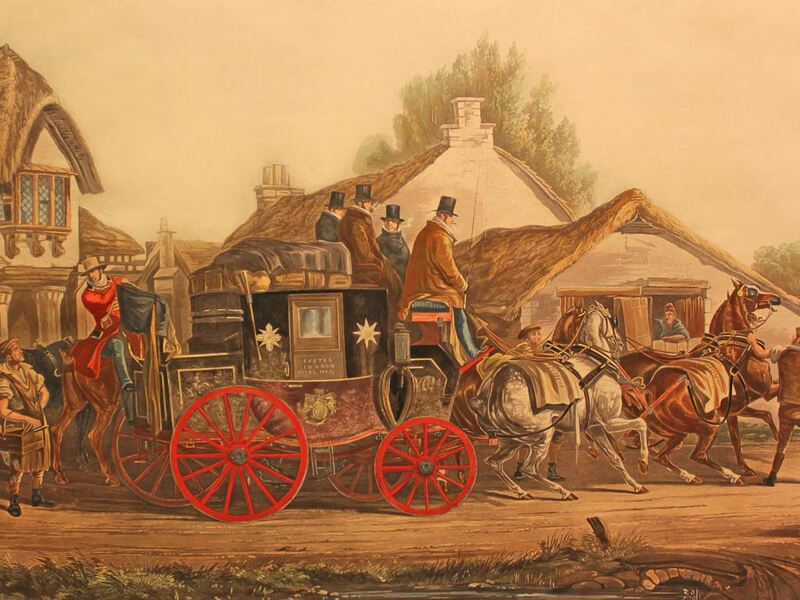 I did some research and there were definite links between the original first buyer of our old house (built 1853) and the land agent who sold the land on behalf of the local miller, William Hill. The land agent owned a coaching Inn at Newcastle under Lyme which is still serving beer. I had originally thought that the Mail coaches which had passed by on the dirt road back then were heading for Llangollen but research says it was Chester as there were only two “roads” in existence towards the West and Wales. 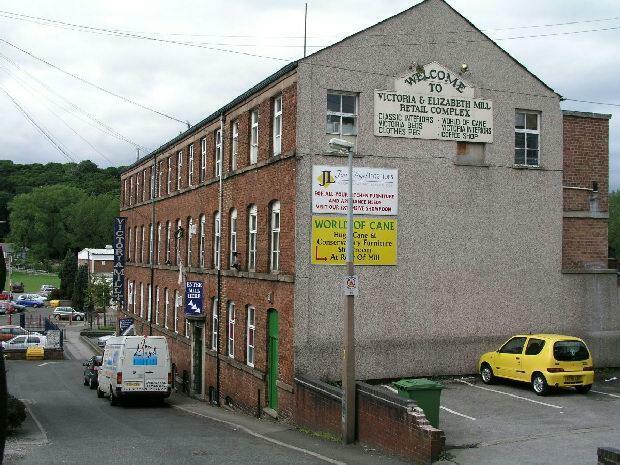 The old corn mill, owned by William Hill. He sold the land on which our house(s) were built. A wealthy local blacksmith bought them and rented them out originally. He must have made his wealth from dealings with Lord Crewe and possibly carrying out farrier work on the mail coaches. He eventually owned several houses at nearby Woore and a handful more in our village. 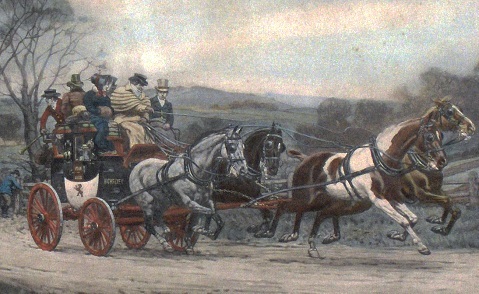 A typical mail coach. The roads could become rutted and muddy. It must have been an uncomfortable way to travel. The old A5 was and is a straight road. Before safety cameras were installed, it was a known “fast” road, three lanes in places , back then. There were many accidents as it was still used long before the M1 came into being and is still used by many as an alternative, more scenic (?) route out of London. In my research, I discovered a book of factual accounts of stage and mail coaching around the Shrewsbury area. There was one driver, my namesake, Richard Vickers, who was described as being very sobre (ahem….) , trustworthy and reliable. “A small man, needing to stand on several copper coins in order to see over a Stilton cheese!” A most popular driver at a time when coach drivers were less than sobre, incurring many nasty coaching accidents including roll overs. 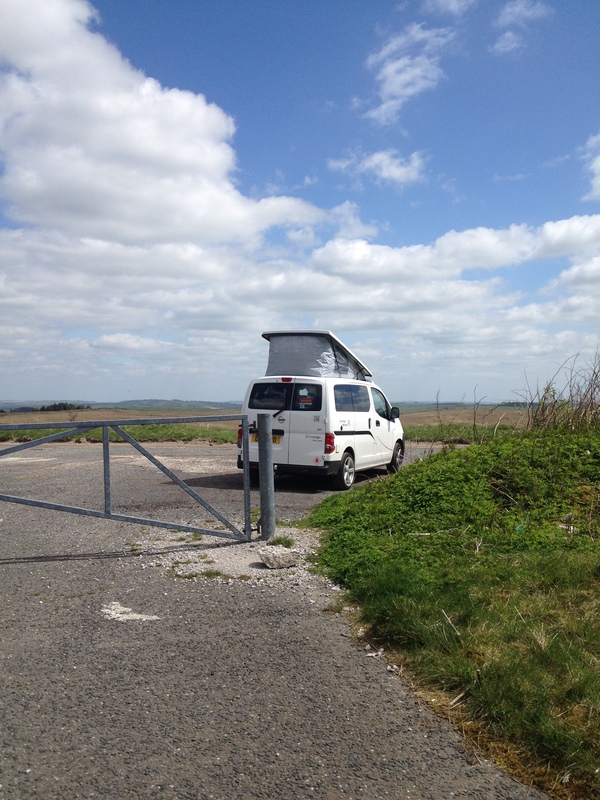 So, makes you thankful for the airbag bundle, seat belts and crush zones in the campervan. Not to mention the heating and comfy seats. 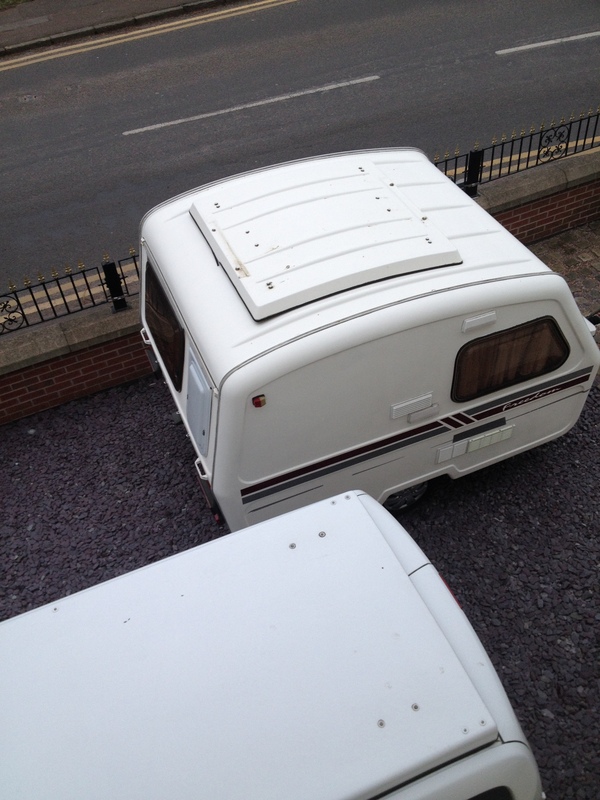 As an old friend used to say, “comfort’s the thing.” I still have difficulty seeing over a stilton cheese though………..
“Newshound” , Martin, from Scotland , has once more, sent me news of a new motorhome being imported into Australia from China. It’s causing quite a stir, to say the least. 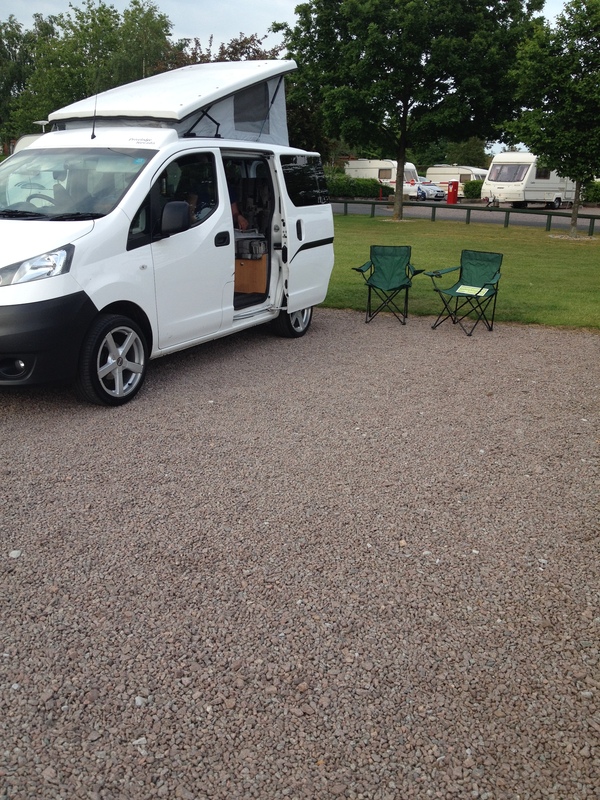 Rather like here in the U.K., the campervan and motorhome supply tends to be locally made or converted units made from familiar , home sourced base vehicles. Can the Ozzy converters compete with the might of China? 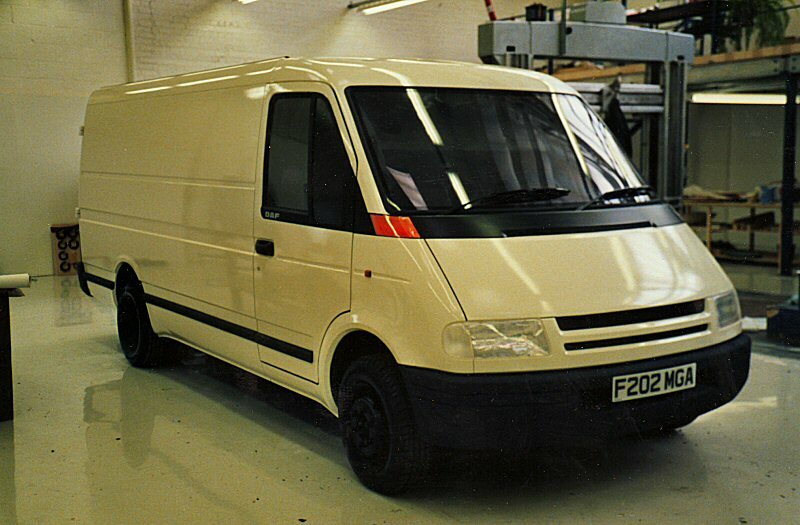 LDV has a long and somewhat complex history. Originally formed from British Leyland and the Dutch company, DAF., it’s had a mixed family journey. 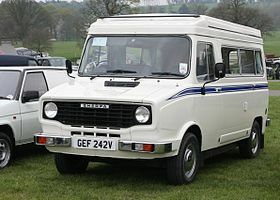 DAF went pop just before the Russians took it on with the GAZ name but latterly, the Chinese now make the V80 “Maxus” which is used as the base for these motorhomes for Oz. 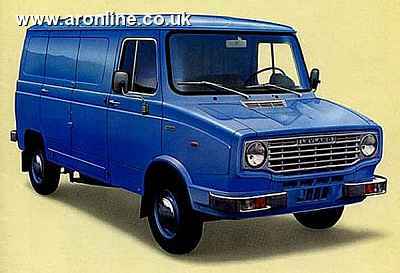 The 60% Daf and 40% Leyland owned company then developed the LDV versions. 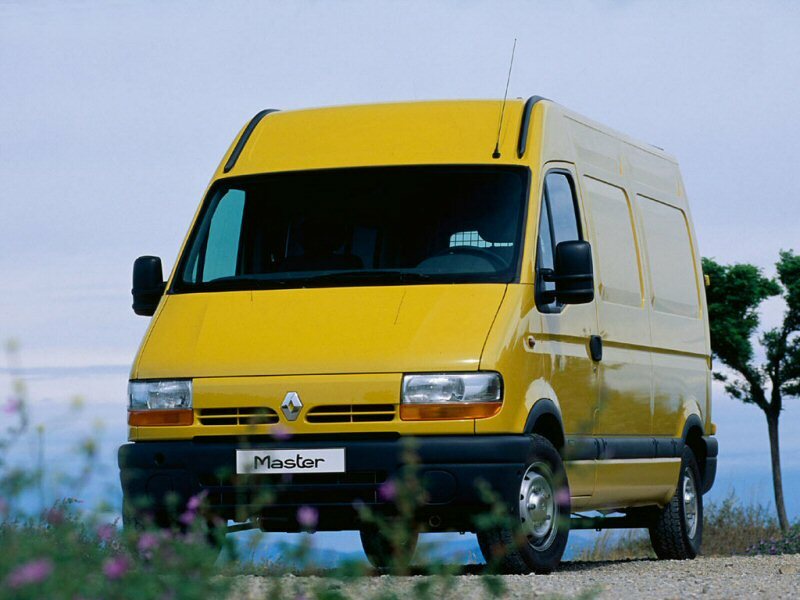 This prototype LDV became the Renault Master ! But the British built Maxus followed on. Despite a large and growing potential market in Russia, the company failed and ownership passed to China. 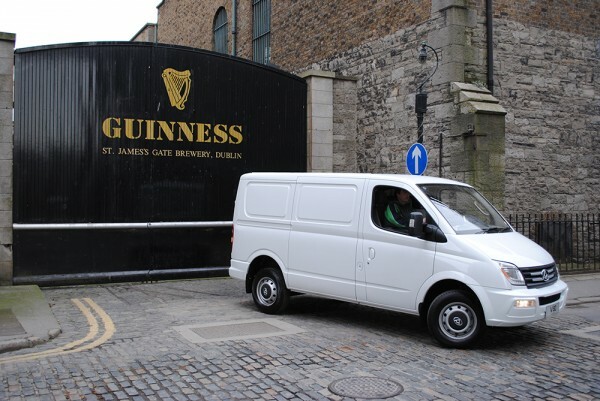 The LDV Maxus V80 was developed and sold into Ireland and Australia amongst other countries. 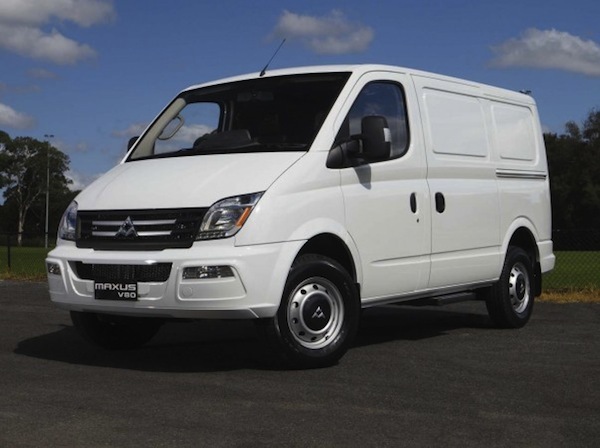 Finally, here is one of the Chinese made “V80 based” motorhomes being shipped into Oz. It will be interesting to see just how sales go. 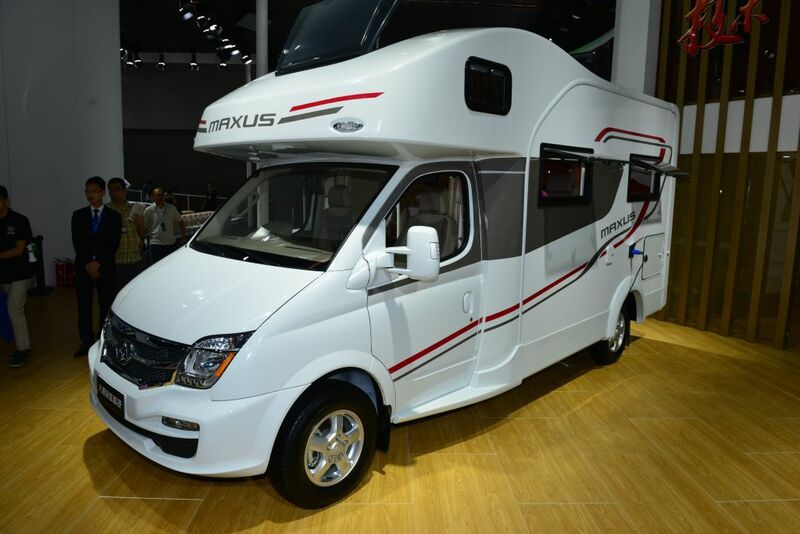 Will we be getting these motorhomes here in the UK? I am sure that there are entrepreneurial types , who will jump at the opportunity to import these , given half a chance. 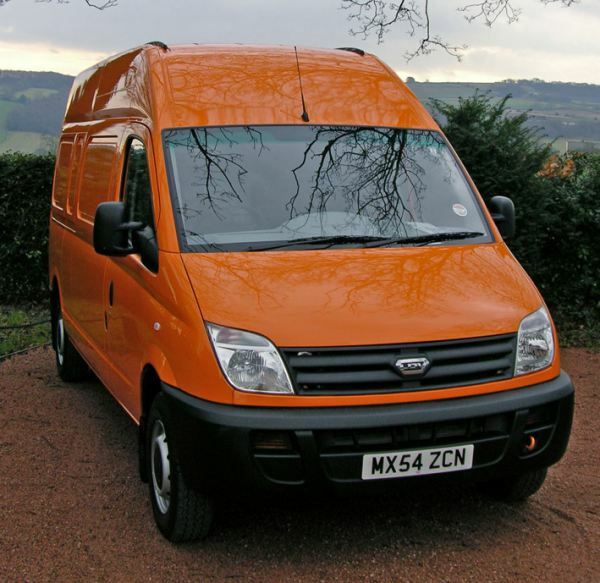 Despite a mixed history, LDV vans have a big following. 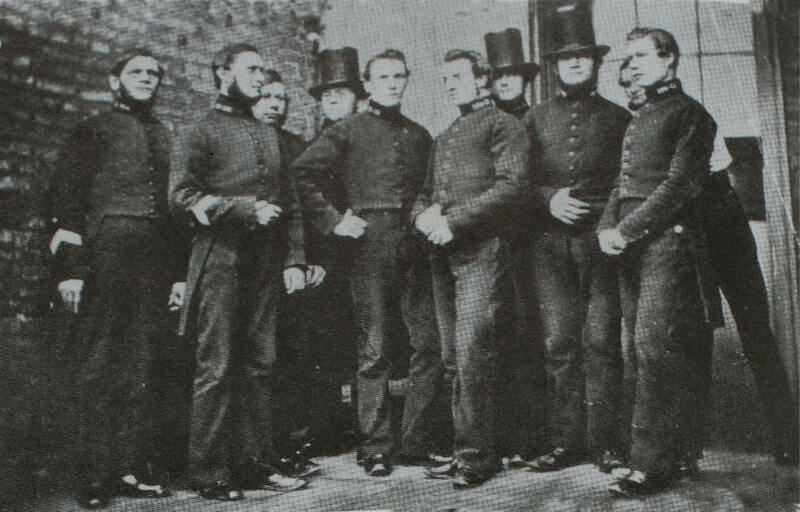 From Royal Mail drivers to Ambulance drivers, from Builders to members of the Police Service. 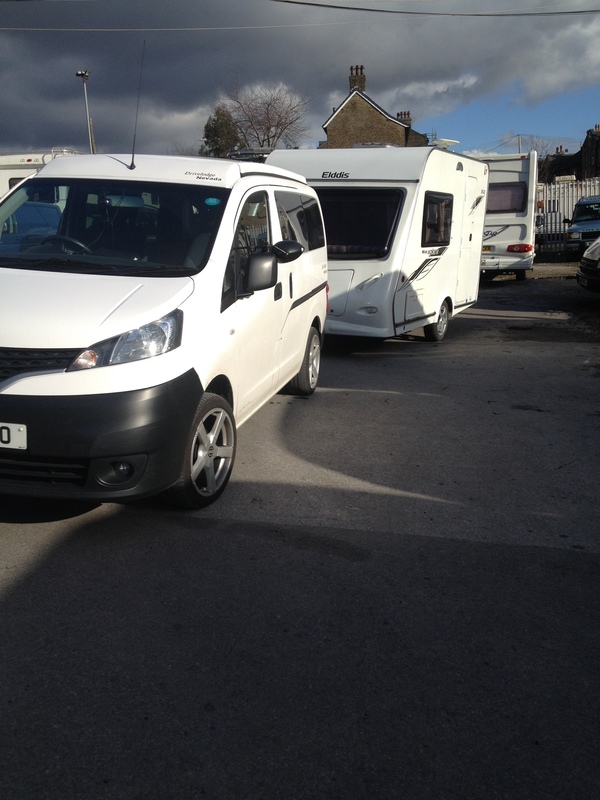 Not to mention owners of a multitude of campervan conversions based on LDV panel vans. 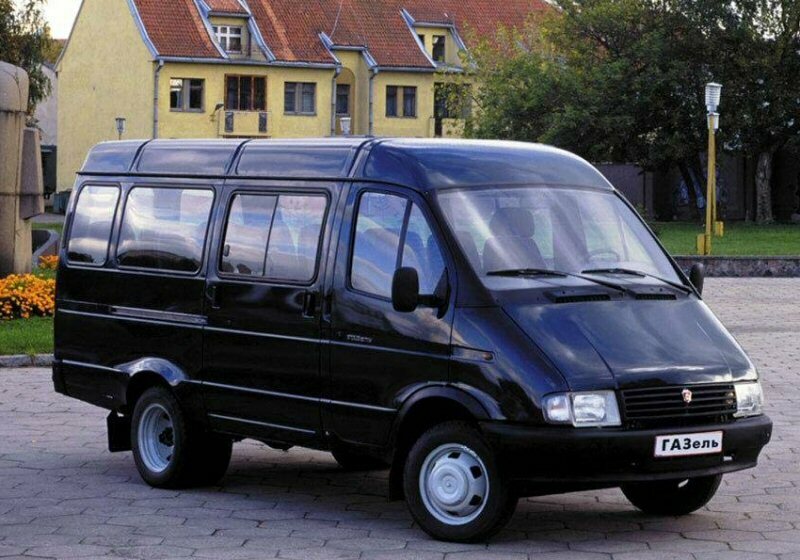 There are already some V80 panel van conversions to be seen on the web. A big thanks to Martin for breaking the story! 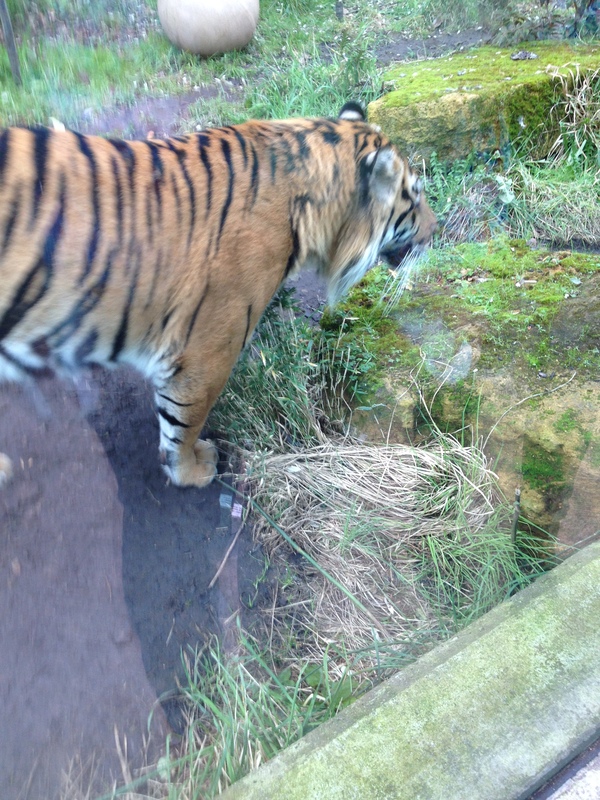 A short trip to East Cheshire, a Celebrity fellow shopper and a moan about Talk Talk. 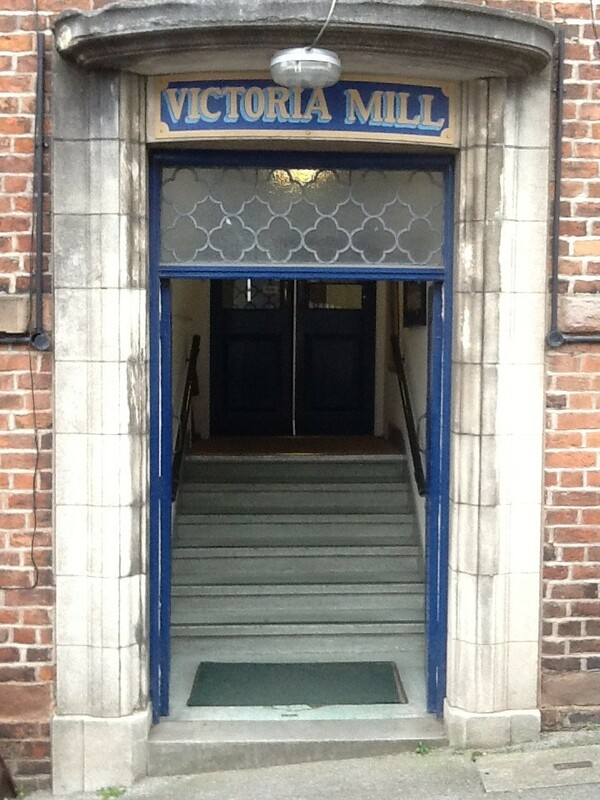 With the days so short now and darkness falling before 4pm we made the short hop east to Congleton for a pre-Christmas shop at Victoria Mill Antiques. Much milder today, so the pre-heating using the gas blown air was not needed. We left the heating on yesterday whilst parked ! 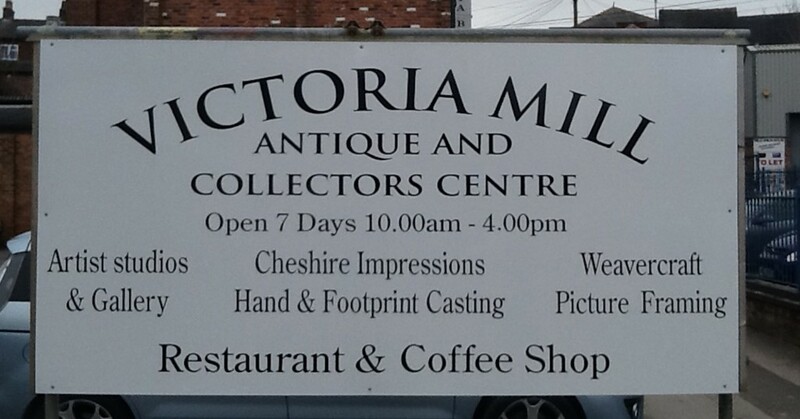 The campervan was filthy following a round robin of three antiques centres in West and North Cheshire on Monday. 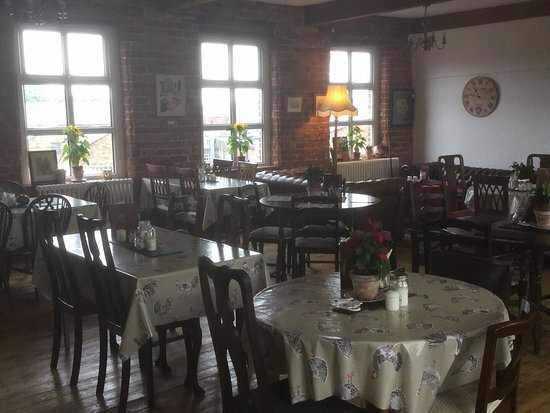 Arriving at lunchtime, we used the restaurant in the “loft” at the mill and purchased off the specials list. Top notch ! Almost as good as at Applegates yesterday, just south of Chester on Whitchurch Road. When we finally got to the checkout desk, we stood behind a very distinguished figure , just completing his own purchase. 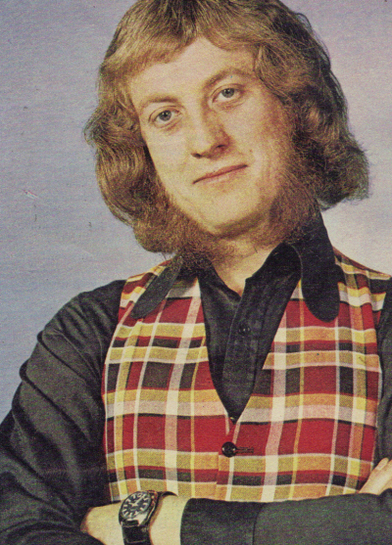 It was Noddy Holder from Slade. This is how I remember him from my youth and how he looks now. 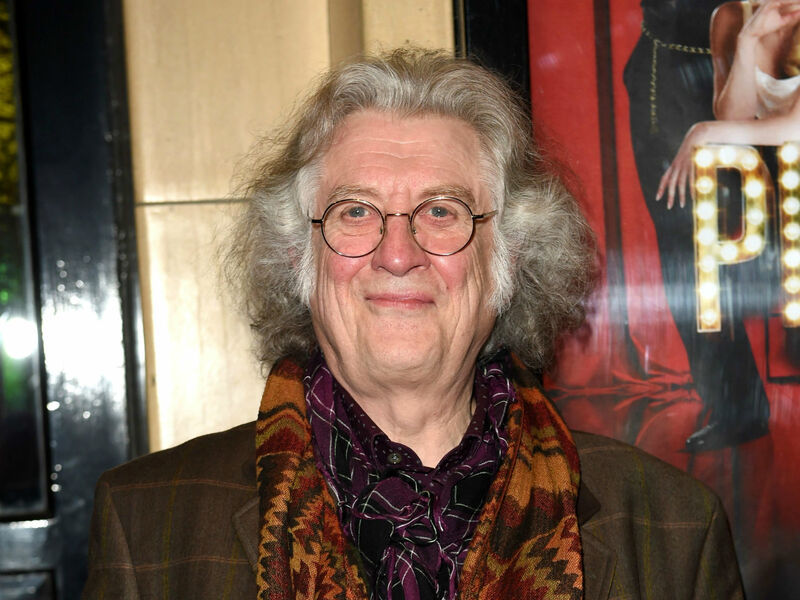 I was disappointed, being a chatty sort myself, not to be able to say how memorable he was and how much fun he gave to my mates and I in our old “biker” days way back in time, when Slade were a huge celebrity band.Within a few seconds he had turned away from the checkout and was out the door. 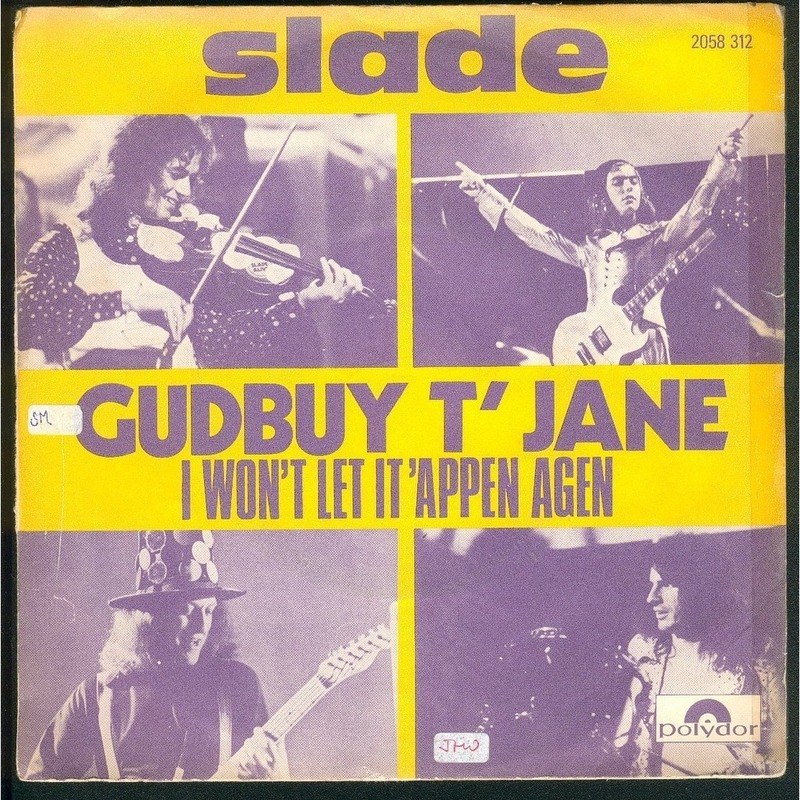 Now, One of Slade’s hits was ” Gudbuy T’Jane” reflecting the morning’s events. Before we had left home, I had said goodbye T’ Talk Talk. Long overdue, I had had my mobile phone hacked into following the well publicised security breach. Someone had added their number onto my mobile account and I was paying someone else’s phone usage. At the time I had the devil of a job convincing Talk Talk that this was the case. At one point they even said that my mobile number had always been the fraudulent imposter. That was until I provided a bill from them showing my correct number which I have had for “centuries”. I have cancelled my land line/TV/Broadband “bundle” too. Despite a promise to phone me back with a PAC code within 10 to 15 minutes, true to form it never happened and I had to go through all the mind numbing process to request it again this afternoon. This time successfully. Now with new providers, in Slade’s words , “I won’t let it ‘Appen Agen.” Nil points to Talk Talk. Be warned if you are shopping around yourself. Before heading for home, I topped up the windscreen washer bottle from a 5 litre back up that I keep in the campervan. I got really grubby hands doing this but it’s sooo easy to wash in a campervan. Oh the shear luxury of it all…………….